If you’re looking for a new mobile game to play this weekend, there are plenty of new options available, including King Rabbit from RareSloth. The puzzle platformer challenges players to help King Rabbit rescue bunnies which have been captured by evil creatures. In addition, Level-5 and NHN PlayArt released Yo-kai Watch Wibble Wobble this week. The puzzle battle game allows players to collect creatures called Yo-kai and take them into battle against other Yo-kai. 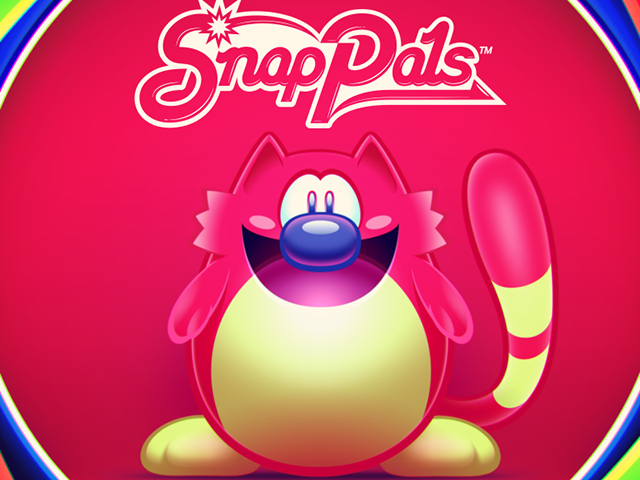 SnapPals (Free on iOS) – This endless game from PagodaWest Games asks players to tap at the right time to take one or more pictures of their animal pal as it jumps into view. The better the picture(s), the more followers players earn. Games end when players take a picture at the wrong time, or if they fail to take a picture of their pal when it appears. As players collect followers across games, they’ll be able to unlock Frenzy Mode, which lets them take multiple pictures in rapid succession to earn even more followers. Players can also collect celebrities as they progress, which can be used to throw parties and unlock new animal pals and gameplay locations. XXI: 21 Puzzle Game (Free on iOS, Android) – This puzzle game from TMSOFT asks players to organize number tiles on a board so the numbers in every row and column add up to the required totals. The game includes 200 puzzles to complete. Total War Battles: Kingdom (Free on iOS, Android) – This strategy game from SEGA and Creative Assembly takes players to England in the 10th century, and allows them to build a kingdom and train an army for battle. When building their kingdom, players will collect and spend multiple resources to construct buildings, and can transform the land around their kingdom by cutting down trees or changing the flow of nearby rivers, as examples. Battles, meanwhile, allow players to compete against other players or computer enemies in real-time. Total War Battles: Kingdom is also available to download for free on Steam. Logic Puzzles Daily (Free on iOS) – This logic puzzle game from Twin Wizards allows players to complete grid-based logic puzzles, with puzzles being available in multiple difficulty levels. While playing puzzles, gamers can write notes, check for errors and access hints. The game allows players to purchase additional puzzle packs with real money, as well as complete a daily puzzle each day. Tint Pop (Free on iOS) – From Cappuccino, Tint Pop asks players to tap at the right time to shoot colorful moving lines. The level’s gun will always match one of the remaining line colors, so users must wait to fire until the bullet will hit a line of the same color. Gamers will collect points as they complete levels, and can use these points to continue stages if they make mistakes, or to skip stages altogether. Hangman Snake (Free on Android) – From Sekip Games, Hangman Snake combines the game of snake with hangman puzzles, and asks players to move their snake around the board to collect letters. The goal is to pick up the right letters to complete the word at the top of the screen. The game has four levels with different puzzles, and the snake moves faster on each level. Players can collect coins as they play, and use these to unlock new animals. Super Arc Light ($0.99 on iOS, Android) – This endless radial shooter from All 4 Games and No Code ask players to tap and hold on the screen to shoot enemy shapes while their weapon moves around a circle. Games end when players allow a shape to make it past their weapon and into the center of the circle. Gamers can unlock new weapons as they play, and can activate these weapons in future games by shooting weapon power-ups that appear on the screen. In addition to these new games, here are some of the previously released games which have come to new platforms. Supermarket Mania Journey from G5 Entertainment – Free on Android; Previously released on iOS and Amazon. Planar Conquest from Wastelands Interactive – $12.99 on Android; previously released on iOS. The Frog Who Travels from Elica Games – Free on iOS; previously released on Android.